Jill FitzGerald – Panama Gateway International Association, Inc.
Jill FitzGerald is a senior manager for tax services for RSM LLP, a global network of independent audit, tax, and consulting firms with an office in Panama. She is based in Atlanta and provides tax compliance and consulting services to a variety of industries, including technology, distribution, manufacturing, retail, and nonprofit organizations. In that role, she works with clients to resolve complex tax issues in an efficient and effective manner. 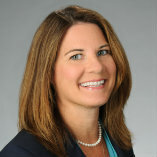 She has extensive experience working with consolidated C-corporations, partnerships, and S-corporations. Her capabilities include, but are not limited to, income tax compliance, income tax provisions, IRS audit support, accounting method changes, and tax planning. A certified public accountant and a member of the American Institute of Certified Public Accountants and the Georgia Society of Certified Public Accountants, she brings more than 15 years of experience in both public accounting and as a controller of a closely held corporation to her position as Treasurer of Panama Gateway.